Sunday, April 6th, began the month of Nisan and the Biblical New Year. According to the present Jewish calendar, the current Sabbatical Year began this past fall, at Rosh HaShanah. But in what month did the Sabbatical Year begin during the First and Second Temple periods? And, to what extent were its regulations observed? Does the Biblical Sabbatical Year actually begin now? Leviticus 25 provides the instructions that one year in seven is to be set aside as a fallow year, when the land will not be worked and when the fields will remain unsown and unharvested. In the Pentateuch, the New Year, the first day of “the first month of the year” was linked to the Exodus and the first feast of unleavened bread. Exod 12:1-2: “The LORD said to Moses and Aaron in the land of Egypt, ‘This month shall be for you the beginning of months; it shall be the first month of the year for you. '” Also see in Deut. 16:1-2 where this first month is called “Aviv“. In the Deuteronomic History, Isaiah and the first “prosbol”:The legislation concerning the seventh year or “Shmitta” in Deuteronomy (Deut. 15:1-18) ignores the year’s agricultural requirements but instead focuses on the release from debt and slavery that is required in that year. However in the book of 2 Kings, at the time of the Assyrian siege of Jerusalem in 702, which apparently took place during a sabbatical year, although the plowing and sowing was suspended for two years in a row, the people were exceptionally allowed to eat what grew of itself. This may have been a permissive setting aside of one requirement during difficult times. In a way this might be considered the first prosbol, (originally applied by Hillel to allowing continued lending in spite of the Shmitta year to keep the economy from breaking down). The following verse was likely used for the continued allowance of the gathering of what grows wild, “of itself” for sabbatical years during the Second Temple Period. 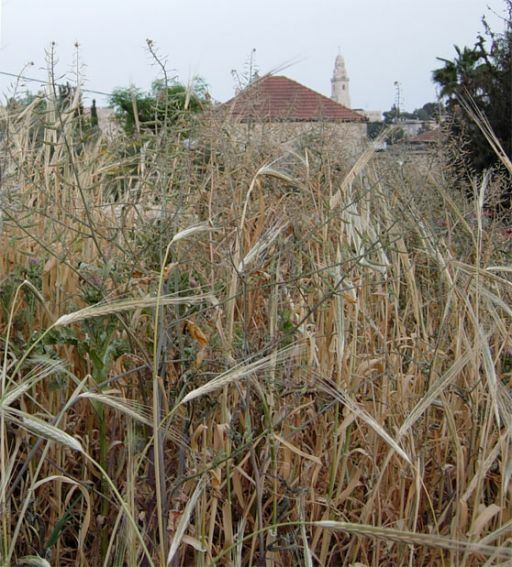 Following the “sign” of 2 Kings 19:29 as a rule, and not an exception, the observance of the Sabbatical year during the Second Temple Period allowed for the general public to freely gather produce from both wild areas and fallow farm plots. In this case, the fruit was considered then to be owned by no one as long as the fruit was picked for personal use (Safrai, pp. 825-827). It does appear that the beginning of the agricultural calendar, especially with respect to the Sabbatical year, changed at some stage during the Second Temple Period. This was introduced some time after the time of Alexander the Great as Hellenism and the Macedonian calendar influenced the entire Near East. This change may well have taken place during the calendrical reforms which took place during the reign of Antiochus Epiphanes (Dan. 7:25), which tended to conform to the Syrian (Macedonian) Lunar Calendar beginning in the fall, with the introduction of a 19-year lunar cycle (in which an offering on the behalf of the emperor was to be observed on his monthly birthday celebration, 2 Macc. 6:7). Although certain parts of the practice were revoked after the events of 167 BCE, the 19-year Lunar Calendar continued to be observed (for this discussion see Vanderkam, pp. 113-116). It is generally understood from Rabbinic sources that a new year starting with Nisan provided a calendar for most societal needs, and that another new year was a Tishre-based year, which functioned with regard to agricultural practices and the rules of shmitta during sabbatical years. In fact, the Mishnah speaks of not two but four “New Years” per calendrical year. Shifting the beginning of the Sabbatical Year to the fall would allow the early sowing period (which begins in December) to be included as part of the same fallow year as the harvest, and at the same time, allow the following sowing period to proceed for the first year of the next sabbatical cycle. However, this only imperfectly resolves the issue, since the beginning of the Tishre-based year still precedes the end of the harvesting of certain summer fruits including grapes, dates and, especially, the olive harvest, which take place in the final two months of the previous agricultural year. This would mean that the fruit of those first two months of the first year would be gathered from trees and vines that were unplowed and unpruned (which is actually forbidden in the laws of Leviticus 25). Logically the agricultural and Sabbatical Year and calendar should coincide with the duration of one natural agricultural year. The natural agricultural year in Israel covers the period from December/January, when wheat and barley are sown, to the end of the following November, when olives and dates are harvested. A quandary arises when neither calendar year, whether the Fall Equinox/Tishre-based year (e.g., the Gezer/Canaanite calendar and Rabbinic calendar) nor the Spring Equinox/Nisan-based year (e.g., the Bible and Qumran) actually contains a single agricultural year from beginning to end. On the one hand, the Nisan-based calendar contains the full sequence of harvests that are associated with a single agricultural year (while the Tishre-based calendar contains harvests connected with two separate agricultural years starting with the olive harvest). On the other hand, the Tishre-based calendar includes the initial process of sowing in the sequence “six years you shall sow, six years you shall prune and gather” (while the Nisan-based calendar includes the period of sowing, but primarily from the following agricultural year; barley, wheat, oats, peas, chickpeas, lentils, vetch, flax and certain vegetables were sown primarily in the period between December and February, while millet, sesame and other vegetables were sown between March and April; on this, see O. Borowski, Agriculture in Iron Age Israel). Pfann, S. “Dated Bronze Coinage of the Sabbatical years of Release and the First Jewish City Coin”. Bulletin of the Anglo-Israel Archaeological Society 24 (2006) 101-113. Theodossiou, E.; Danezis, E.; Grammenos, Th. ; Stathopoulou, M. “The Macedonian Calendar in Macedonia” Joint European and National Astronomical Meeting, JENAM-97. 6th European and 3rd Hellenic Astronomical Conference, held in Thessaloniki, Greece, 2-5 July, 1997, Meeting Abstract, p. 341.